Project Hosts, Inc. is the worldwide leader in Custom Cloud hosting of Microsoft Project and Portfolio Management (PPM), SharePoint and Dynamics CRM solutions. Now in its 11th year, the company has the cloud expertise, Custom Cloud™ technology, worldwide partner ecosystem, business flexibility, and renowned Person-2-Person™ support services that makes it the recognized leader in private and hybrid cloud hosting for enterprises and government agencies. With a Project Hosts’ Custom Cloud solution, businesses can realize much faster deployment times and lower operating costs. Many of our customers and partners report that their solutions are up and running in about one-half the time, and at one-half the operating cost as compared to similarly configured on-premise or privately hosted cloud environments. Scott Chapman is the CEO and co-founder of Project Hosts. Scott defines the company's vision and direction, sets strategy and drives overall business goals. In addition, he directs all sales, marketing, partner ecosystem and strategic relationships. 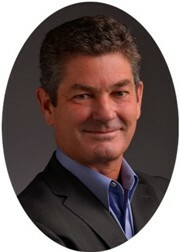 Scott is a pioneer and market-maker in cloud-based Microsoft applications hosting. He founded two hosting companies, both of which were focused on enabling Microsoft partners and customers to leverage the business and technology advantages of a cloud architecture. His first startup, founded in 1999, was acquired by a public company. Scott holds a bachelor's degree from Yale and a PhD in Physics from UC Berkeley. Scott's pre-cloud years included a successful management consulting career at McKinsey and Company. CEOCFO: Mr. Chapman, would you tell us the basic concept of Project Hosts? Mr. Chapman: We provide custom cloud hosting of Microsoft applications. When I say custom cloud hosting, that means instead of having a generic application deployed on shared servers, we give companies a more tailored application experience on their own private or dedicated cloud. We typically provide customers with dedicated servers, either physically dedicated or virtually dedicated, so that they have all the application control, flexibility, and customization that they would have if they deployed on premise or managed their own private cloud. And even though it’s a customized solution, they still gain the convenience and all the benefits of being in the cloud. We host Microsoft Project Server, the leading project management solution in the industry, SharePoint for collaboration, and Dynamics CRM for relationship management. We are now also starting to host Dynamics ERP applications and Microsoft Visual Studio Team Foundation Server. CEOCFO: What types of companies are using your services and what types of companies should be? Mr. Chapman: Most of our customers are departments within large organizations. These organizations include Global 2000 and Fortune 500 enterprises, medium-sized businesses, and U.S. government agencies. We also have a lot of Healthcare and Pharmaceutical customers, and have a broad ecosystem of application and consulting partners who cater to those industries. Companies that should consider a custom cloud are those that typically need more integration with their existing applications and data, customization, or personal services than Public Clouds provide. CEOCFO: When would a company turn to you? What are the advantages? Mr. Chapman: Let me answer that with a specific example. Let’s suppose a division of a large Pharma company is considering a Microsoft Project Server deployment because they need to improve their project and portfolio management capabilities and processes. Many companies tend to select Microsoft Project Server as the application because it is so well known and widely supported within the industry. When it comes to deployment they have four main options - they could deploy onsite, in their own private cloud, in a shared public cloud like Microsoft offers, or in a managed private cloud like ours. A Project Hosts Custom Cloud solution is a type of managed private cloud, where we act as an extension of a customer’s IT department. Fewer and fewer businesses these days choose an on site deployment of Project Server that their IT staff has to build and manage. This is because Project Server 2013 is complex, with an underlying web of many integrated software components and technologies. These include elements such as SQL Server, SharePoint, Active Directory, client software on their PC’s, the Project Server 2013 platform, additional 3rd party applications, customized or real-time reporting, backups and disaster recovery, and much more. It takes significant time and cost for a company’s limited IT staff to become fully trained and expert at managing the environment with all of its complexities. A typical Pharma company will decide that those IT resources will be much better utilized developing Pharma-specific software and systems that have a direct impact on the company’s bottom line. So rather than build and manage their own Project Server environment, a Pharma company will turn to a company like Project Hosts, relying on our engineers to be the experts in all the components and their integration. By having Project Hosts focus on their application hosting needs, they can focus on their project and portfolio management needs. Many companies also eliminate the option of a public cloud for their deployment, due to their business or technology needs for advanced customization, applications integration, security policies or specialized business intelligence. For their own compliance reasons they may need to have dedicated servers, specialized security controls or policies. In some situations, they want to add-in some third-party software that is specific to their industry or function that they are doing or maybe they want to have direct access to their database so that they can have more in-depth reporting or integrate to onsite applications that they have in their own datacenter. Those are all reasons that companies choose to go with the custom cloud rather than a shared, public cloud. CEOCFO: Does it surprise you that it is even a question? Mr. Chapman: No, not at all. There is tremendous demand for, and growth in cloud-based solutions because of the inherent economic advantages that all clouds provide. Unfortunately, there is also a lot of confusion about what different types of cloud architectures can and cannot do, and the level of customization and integration with other applications and data that is possible. There are also new types of architectures emerging, such as hybrid cloud solutions, which we also offer. Hybrid cloud solutions provide a new degree of seamless inter-cloud operation, such as between a public and private cloud, or with on-site digital resources. Many companies are now realizing the benefits of a cloud and are compelled to move more of their software into a cloud-based architecture. I have been in the cloud business since 1999, bringing Microsoft applications and solutions to customers to their web browser via the Internet. When I first started, it was a big educational process for customers and partners in terms of should they, or shouldn’t they move. Moving to the cloud is still is a big question for many companies, but there are far more companies now who are just saying they want to move to the cloud. Now the question is … what type of cloud best fits my business needs? CEOCFO: When you are working with a company, do they typically know what they want? Mr. Chapman: For some customers, the IT organization has a pretty good idea of what they need -- that it includes the capabilities of a private cloud, and that a public cloud may not meet all their application, reporting or integration needs. Other customers may not have as clear of an idea at first. For those customers, we work with partners who specialize in consulting, configuration and training, and can help a customer refine their requirements. Many of the solutions that we host, such as SharePoint, Project Server and Dynamics CRM have the ability to incorporate a wide range of business processes. Our customers appreciate that we have consulting partners who take a lead on mapping out a customer’s processes and then figure out how to configure the software tools to match those processes. Working hand-in-hand with these partners, we then step in and implement the cloud solution for them. Mr. Chapman: A significant reason why our customers choose us, and continue to stay with us, as opposed to a public cloud provider is our unique personal-approach to working with customers. We brand this as our Person-2-Person services. Many cloud providers shy away from providing direct, personal support, and prefer to provide things like community bulletin board support, or self-service automated FAQs. We are just the opposite. I’ve built this business on providing strong relationships with our customers and partners. If something goes wrong, for whatever reason, I believe the customer should have direct access to our company, and our people. As such, I look for people who take a customer-first perspective and are thinking about what the right thing is for the customer. That not only applies for the salespeople but also in the operations and support staff that are interacting with the customers. For example, we have many customers in the healthcare business whose deployments need to be HIPAA compliant. They may have questions about whether HIPAA requires certain technical configurations, such as encryption of the databases at rest. Our people answer these questions and put in place the correct technical controls and configurations to meet each customer’s requirement. CEOCFO: What is next for Project Hosts? Mr. Chapman: One of our big initiatives is providing clouds for U.S. federal government agencies. We are now in the process of being authorized to serve the federal government and we should have that finished by January. The federal government has an initiative called Cloud-First. This initiative is encouraging a lot of federal agencies to use cloud services where it makes sense. SharePoint, Project Management, CRM -- there is a tremendous need for these cloud solutions within the federal government. It makes a lot of sense to use managed cloud services for these solutions, as opposed to deploying them in federal data centers. But in order for any agency to contract with a cloud service provider, or CSP, like us, the CSP must first be verified to be compliant with federal “FedRAMP” security regulations. We have done a great deal of work to ensure that our systems are all FedRAMP compliant. We are being audited this fall as the last stage of the process of getting our final authorization. That is a big initiative for us which will open up more federal business for us. We are expecting that many state and local governments will adopt FedRAMP as their security standard as well. The commercial sector is also evaluating this standard, and it may have implications in this broader market place. Other initiatives include an effort to expand into Latin America and expanding our offerings in Microsoft Dynamics beyond CRM to also include the ERP systems. CEOCFO: How are you preparing for some of the challenges with the new initiatives? Mr. Chapman: Our approach is both partner centric and service centric. I’ve already mentioned earlier that we leverage our partners and our partner ecosystem for the consulting, configuration and training that so many of our enterprise customers require. There are partners like that in our expansion territories such as Latin America. We need to develop relationships with these partners, and work with them to provide an unmatched custom cloud service offering. Many of these partners already have relationships with enterprise customers and are looking for a company like ours that can provide custom cloud hosting. Similarly, in the federal space there are a number of partners that have deep relationships with different agencies and are looking for a solution that they can bring them which is FedRAMP compliant. FedRAMP compliance is a very difficult thing to achieve and typically takes over a year to become authorized. In the federal space it is also important for us to work with software vendors who have built applications and tools that are add ons which optimize Microsoft solutions and make them more appropriate for the federal market place. CEOCFO: Why pay attention to Project Hosts? Mr. Chapman: We have always been at the forefront of the Microsoft cloud market, and with more than a decade of direct experience, we are the recognized leader in providing private cloud hosting of Microsoft solutions for enterprises and government agencies. Our hosting expertise in Project Server, Dynamics CRM and SharePoint, combined with our ecosystem of applications and consulting partners, our Custom Cloud deployments, and our renowned Person-2-Person services is unmatched in the Microsoft hosting market place. We know these solutions extremely well. For a company that wants to do a cloud deployment and wants to have engineers who are making sure that everything just works and they can focus on their business, we are the company with the proven record of success.